Its vertical shape, a pure and elegant lines will captivate you immediately. The large heating surface, ultra-flat, satin-like polished stone and without controls makes Deko a furnishing item and not a simple heating unit. The DEKO evokes the latest trends in interior design: the product has a thickness of only 6 cm and is therefore much thinner and flatter than any electrical or water radiator. Once installed, the product from the wall space is reduced to only 9 cm. Its dimensions are characterized by a perfect proportion between vertical and horizontal development. The combination of 2 heating systems allows to heat the room in a very short time, and ensuring a uniform and constant heat, creating a pleasant feeling enveloping and avoiding any annoying current or air circulation. This also to prevent continuous adjustment of the thermostat that cause excessive consumption of energy. DEKO is in double electrical insulation and does not require a connection with ground. It also has a special level of protection against moisture, called IP 24. This allows installation without any risks even in places and damp rooms such as bathrooms. The heating of the programming allows to optimize energy consumption. The DEKO operation can be programmed on a weekly basis, using laptop ZEFIRO programmer time trial, supplied as an optional accessory. 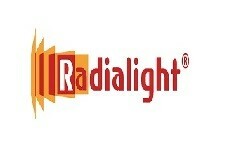 The same time trial programmer allows you to program all the radiators Radialight DEKO (but also PLANO) installed in your home up to a theoretically unlimited. 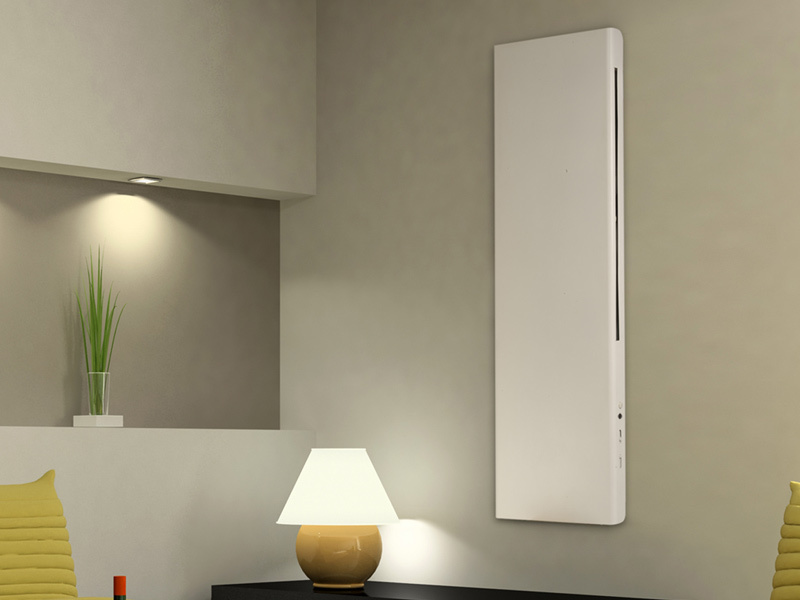 For each individual radiator can be defined a specific operating profile that defines for each individual day of the week and for each hour of the day, the ambient temperature must be guaranteed. In the time trial programmer you can store up to 2 different operating programs (typically a program for the living area and one for the bedroom) and two different ambient temperatures (typically a defined temperature COMFORT and a power-saving ECO defined).